Spring is a time of renewal, growth, and freshness! 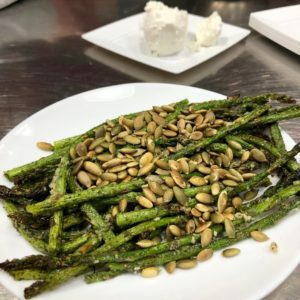 This cooking class takes some of the best seasonal ingredients such as asparagus, artichokes, spinach, beets, grapefruit, and fennel and turns them into light, simple meals you can enjoy throughout the season to help shed the heaviness of Winter and embrace the lightness of Spring. Focusing on seasonal produce means you get the most bang for your buck when it comes to nutrition. And as an added bonus many of these foods have natural detoxifying and digestive supporting qualities to support your body as you transition through the seasons. Specifics: This cooking class is for up to 10 people and runs for approximately 2 hours. All groceries, aprons, and speciality equipment will be provided. Please bring Tupperware or mason jars for leftovers. You can sign up online below or email caitliniles@live.com to set up an e-transfer to reserve your spot.